My fonts are free for PERSONAL use only. For any commercial use (anything you profit from), you must send a paypal donation. 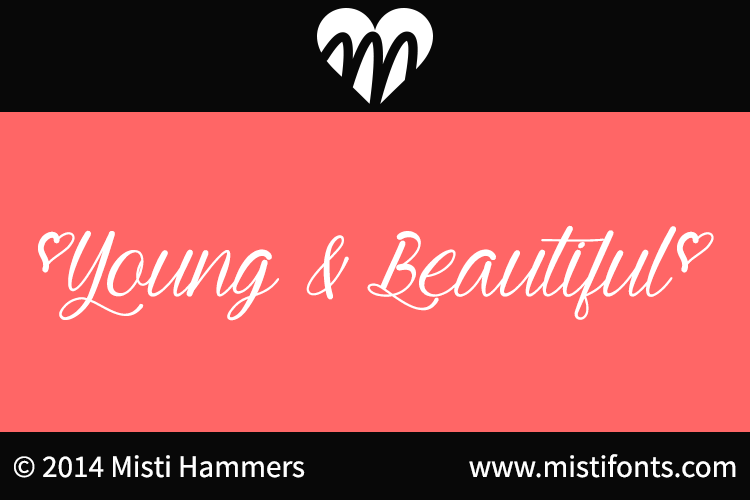 Please visit my website http://www.mistifonts.com to see my affordable prices. You MAY NOT sell my fonts or claim them as your own. You MAY NOT edit or rename my fonts. 1. You credit me (Misti's Fonts or Misti Hammers). 2. Keep the READ ME file intact within the zip folder. 3. Provide a link back to my website (http://www.mistifonts.com). Contact me ([email protected]) if you have any questions.